Those articles are not 100% correct anymore as we changed some of the parameters during the last two years, but the concepts stayed the same. Mike and I started about two years ago to work on it and the latest CRIU release (3.5) includes the possibility to use lazy migration. Now that the post-copy migration feature has been merged from the criu-dev branch to the master branch it is part of the normal CRIU releases. With CRIU's 3.5 release lazy migration can be used on any kernel which supports userfaultfd. I already updated the CRIU packages in Fedora to 3.5 so that lazy process migration can be used just by installing the latest CRIU packages with dnf (still in the testing repository right now). More information about container live migration in our upcoming Open Source Summit Europe talk: Container Migration Around The World. My pull request to support lazy migration in runC was also recently merged, so that it is now possible to migrate containers using pre-copy migration and post-copy migration. It can also be combined. Another interesting change about CRIU is that it started as x86_64 only and now it is also available on aarch64, ppc64le and s390x. 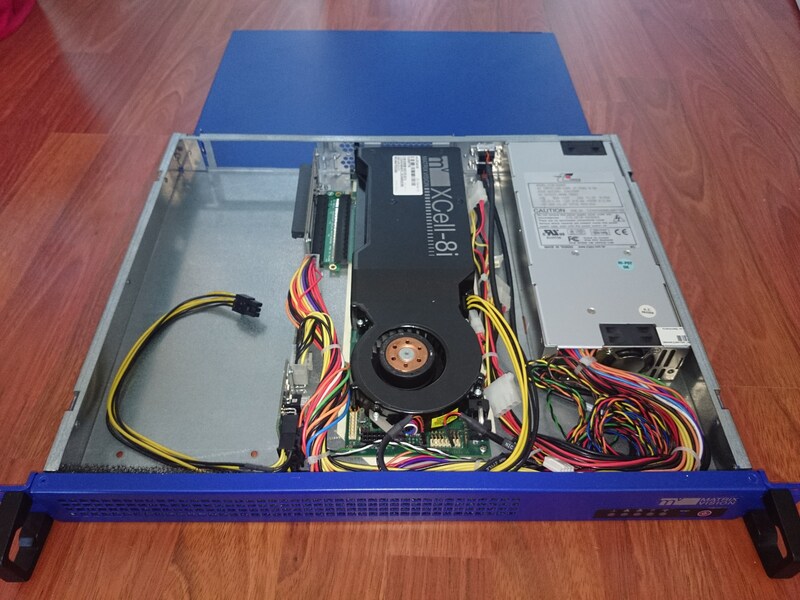 The support to run on s390x has just been added with the previous 3.4 release and starting with Fedora 27 the necessary kernel configuration options are also active on s390x in addition to the other supported architectures. To restore a checkpointed process with CRIU the process ID (PID) has to be the same it was during checkpointing. CRIU uses /proc/sys/kernel/ns_last_pid to set the PID to one lower as the process to be restored just before fork()-ing into the new process. The same interface (/proc/sys/kernel/ns_last_pid) can also be used from the command-line to influence which PID the kernel will use for the next process. Writing '9999' (without a 'new line') to /proc/sys/kernel/ns_last_pid tells the kernel, that the next PID should be '10000'. This only works if between after writing to /proc/sys/kernel/ns_last_pid and forking the new process no other process has been created. So it is not possible to guarantee which PID the new process will get but it can be influenced. In my last post about CRIU in May 2016 I mentioned lazy memory transfer to decrease process downtime during migration. Since May 2016 Mike Rapoport's patches for remote lazy process migration have been merged into CRIU's criu-dev branch as well as my patches to combine pre-copy and post-copy migration. Using pre-copy (criu pre-dump) it has "always" been possible to dump the memory of a process using soft-dirty-tracking. criu pre-dump can be run multiple times and each time only the changed memory pages will be written to the checkpoint directory. Depending on the processes to be migrated and how fast they are changing their memory, this can still lead to a situation where the final dump can be rather large which can mean a longer downtime during migration than desired. This is why we started to work on post-copy migration (also know as lazy migration). There are, however, situations where post-copy migration can also increase the process downtime during migration instead of decreasing it. The latest changes regarding post-copy migration in the criu-dev branch offer the possibility to combine pre-copy and post-copy migration. The memory pages of the process are pre-dumped using soft-dirty-tracking and transferred to the destination while the process on the source machine keeps on running. Once the process is actually migrated to the destination system everything besides the memory pages is transferred to the destination system. Excluding the memory pages (as the remaining memory pages will be migrated lazily) usually only a few hundred kilobytes have to be transferred which reduces the process downtime during migration significantly. The first criu command dumps the memory of the process PID and resets the soft-dirty memory tracking. The initial dump is then transferred using rsync to the destination system. During that time the process PID keeps on running. 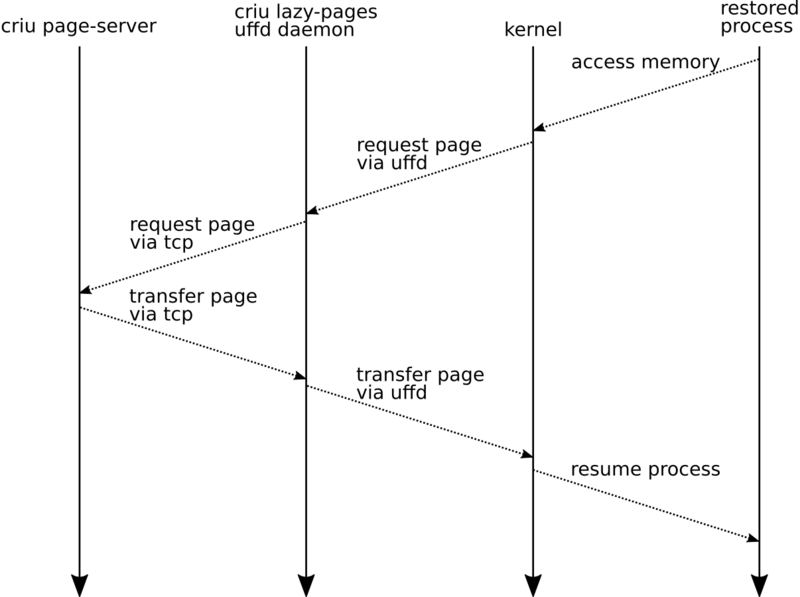 The last criu command starts the lazy page mode which dumps everything besides memory pages which can be transferred lazily and waits for connections over the network on port 27. Only pages which have changed since the last pre-dump are considered for the lazy restore. At this point the process is no longer running and the process downtime starts. Once criu is waiting on port 27 on the source system the remaining checkpoint images can be transferred from the source system to the destination system (using rsync in this case). Now criu can be started in lazy-pages mode connecting to the page server on port 27 on the source system. This is the part we usually call the UFFD daemon. The last step is the actual restore (criu restore). 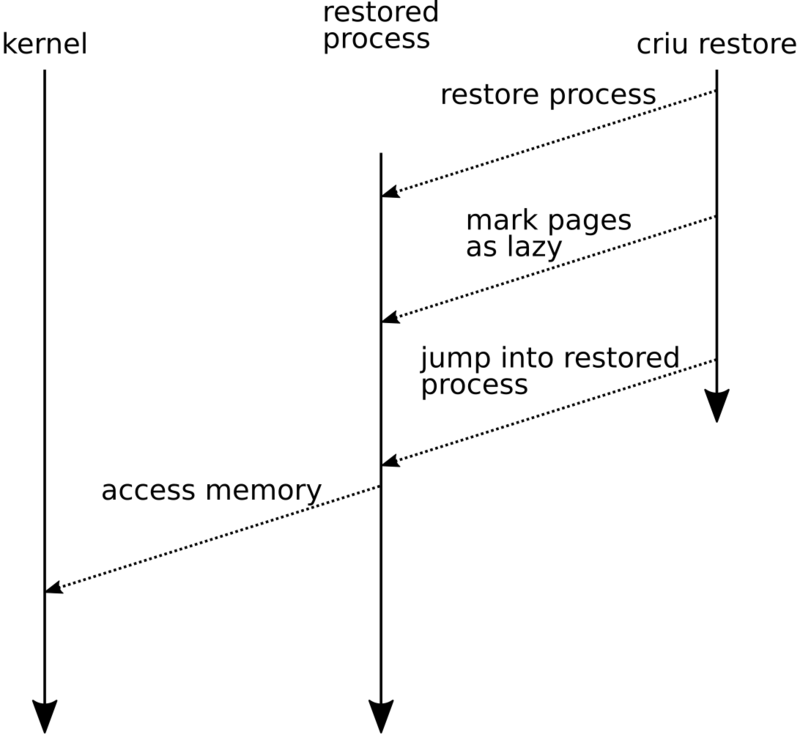 The following diagrams try to visualize what happens during the last step: criu restore. It all starts with criu restore (on the right). criu does its magic to restore the process and copies the memory pages from criu pre-dump to the process and marks lazy pages as being handled by userfaultfd. 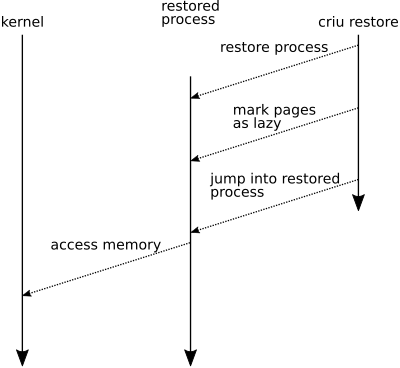 Once everything is restored criu jumps into the restored process and the restored process continues to run where it was when checkpointed. Once the process accesses a userfaultfd marked memory address the process will be paused until a memory page (hopefully the correct one) is copied to that address. 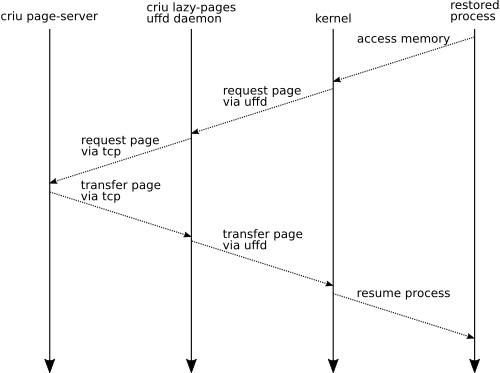 The part that we call the UFFD daemon or criu lazy-pages listens on the userfault file descriptor for a message and as soon as a valid UFFD request arrives it requests that page from the source system via TCP where criu is still running in page-server mode. If the page-server finds that memory page it transfers the actual page back to the destination system to the UFFD daemon which injects the page into the kernel using the same userfault file descriptor it previously got the page request from. Now that the page which initially triggered the page-fault or in our case userfault is at its place the restored process continues to run until another missing page is accessed and the whole procedure starts again. To be able to remove the UFFD daemon and the page-server at some point we currently push all unused pages into the restored process if there are no further userfaultfd requests for 5 seconds. The whole procedure still has a lot of possibilities for optimization but now that we finally can combine pre-copy and post-copy memory migration we are a lot closer to decreasing process downtime during migration. The next steps are to get support for pre-copy and post-copy into p.haul (Process Hauler) and into different container runtimes which already support migration via criu. A long time ago (2007 or 2008) I was developing firmware for Cell processor based systems. Most of the Slimline Open Firmware (SLOF) has been released and is also available in Fedora as firmware for QEMU: SLOF. 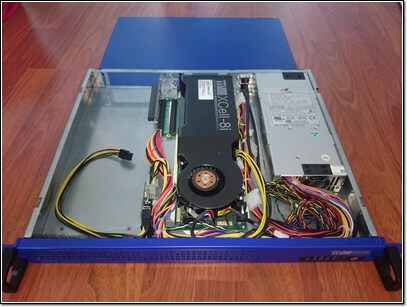 This chassis was designed to hold two PXCABs: one running in root complex mode and the other in endpoint mode. That way one card was the host system and the other the PCI express connected device. This single card is now running in root complex mode. I can boot a kernel either via TFTP or from the flash. As writing the flash takes some time I am booting it right now via TFTP. Compiling the latest kernel from git for PPC64 is thanks to the available cross compiler (gcc-powerpc64-linux-gnu.x86_64) no problem: make CROSS_COMPILE=powerpc64-linux-gnu- ARCH=powerpc. The more difficult part was to compile user space tools but fortunately I was able to compile it natively on a PPC64 system. With this minimal busybox based system I can boot the system and chroot into a Fedora 24 NFS mount. Unfortunately that does not work as there currently seems to be no way to tell dnf to install the packages for another architecture. I was able to download a few RPMs and directly install them with rpm using the option --ignorearch. In the end I also installed the data for the chroot on my PPC64 system as that was faster and easier. Now I can boot the PXCAB via TFTP into the busybox based ramdisk and from there I can chroot in to the NFS mounted Fedora 24 system.